Some cocktails are eternal classics that everyone recognizes like the Manhattan, the Old Fashioned, and the Martini, but there are others that take craft cocktails to a wholly different level. As great as these standard choice selections are I tend to gravitate toward lesser known old world favorites and nothing is more tasty or unique than the original Negroni. Like all great craft cocktails the essence of this superb creation is based on the quality ingredients used to make it; settle for nothing but the best. 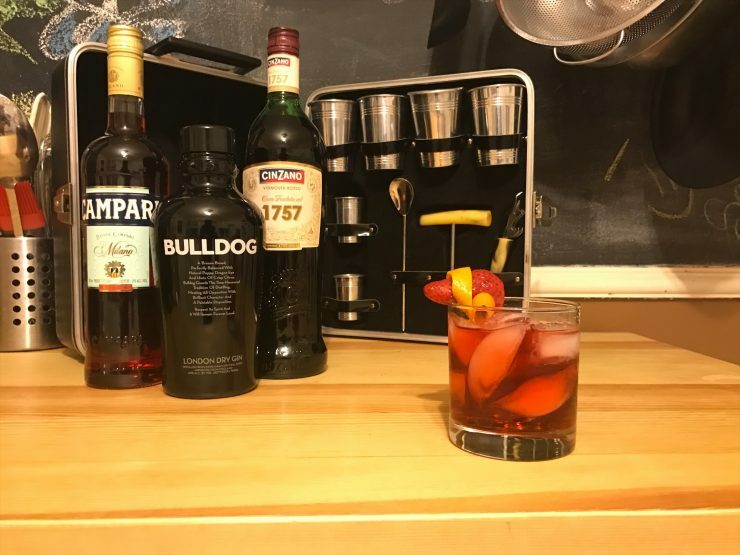 To make the best quality Negroni possible you always have to start with the original and unbeatable Campari Liqueur and add top shelf Gin and Vermouth. 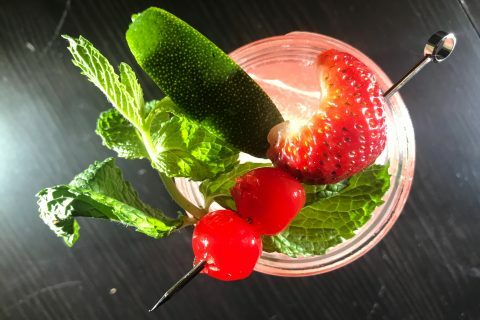 To make this pinnacle of elder cocktails I mixed 1 oz Campari, 1 oz Cinzano Vermouth Bianco, and 1 oz London Dry Gin in a cocktail shaker. 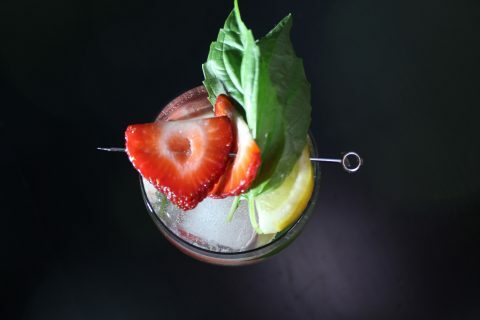 Strain the cocktail into an ice filled rocks glass and garnish with a carefully cut twist of orange and strawberry halves. 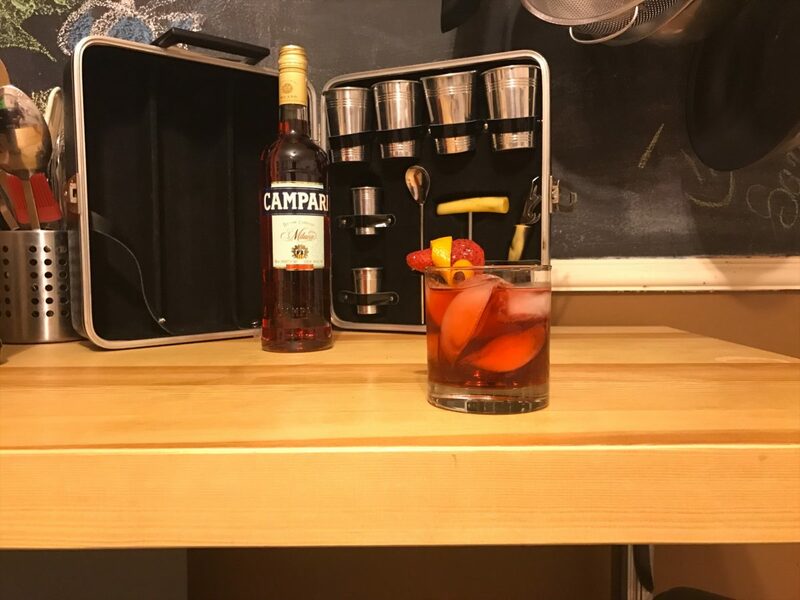 Campari is the heart and soul of the Negroni with its delicate yet fully balanced fruit and herb palette that give the cocktail an unmistakable earthy and natural flavor that is unrivaled and unparalleled in the liqueur world. The London Dry Gin adds distinct juniper notes that refresh while the Cinzano Vermouth lends rooty and floral notes that really open up the whole flavor profile. 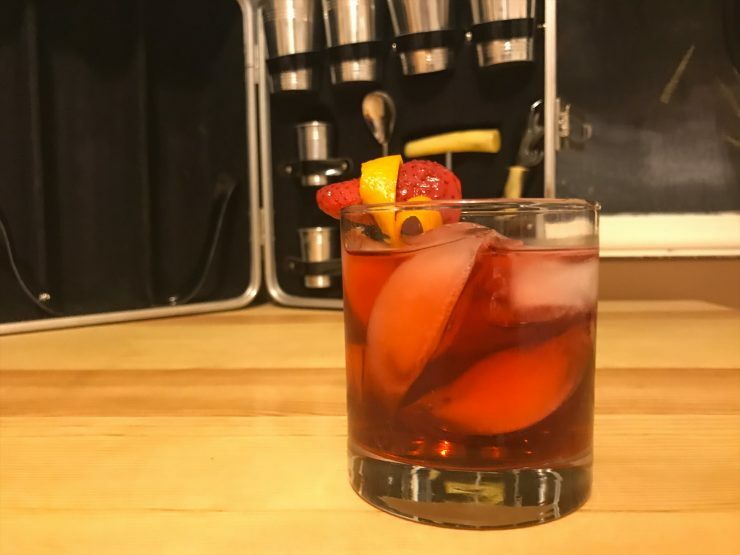 Up your classic cocktail game with this superb Negroni that will surprise and excite your guests. Plus, if you want to truly experience Campari be sure try it on its own over rocks or with a bit of soda water.